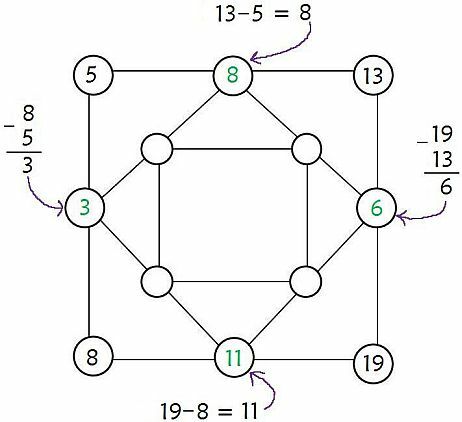 Fun Math Worksheets for Use in the Classroom or at Home that Students Love. Practicing subtraction won't be the same with our fun math worksheets! Subtraction squares take the boredom out of subtraction practice and make it fun. The one below is a completed subtraction square. 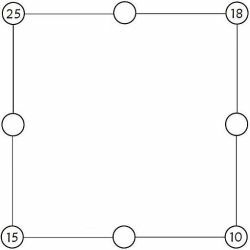 Start with a blank Subtraction Square as seen below. You can print off this blank subtraction square worksheet. Or you can draw your own on a sheet of paper. 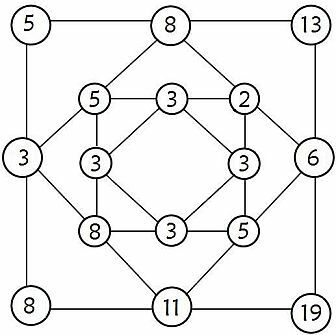 Choose four numbers that will be written in the outer four corners of the diagram (see below). You can let the students choose their four numbers or you can choose for them. 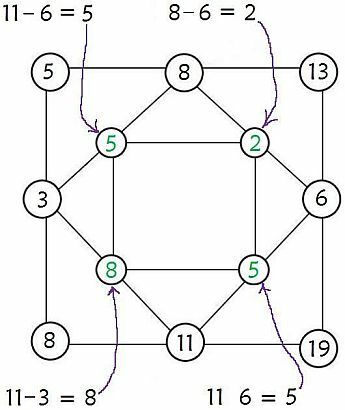 Subtract the two numbers on the ends of each of the four sides, and put the result in the blank circle between the two subtracted numbers. Have a look at the picture below to see what I mean. The next step is to continue this same process with the next square. Using these fun worksheets on a regular basis helps kids get more enjoyment from learning and in turn helps their confidence in what they are learning. It's a pretty cool subtraction activity that students seem to really get a kick out of.